Moooi has introduced two new launches in the North American market: The Extinct Animal Fabric Collection and The Something Like This Sofa, with cues from nature, animals and spontaneity. 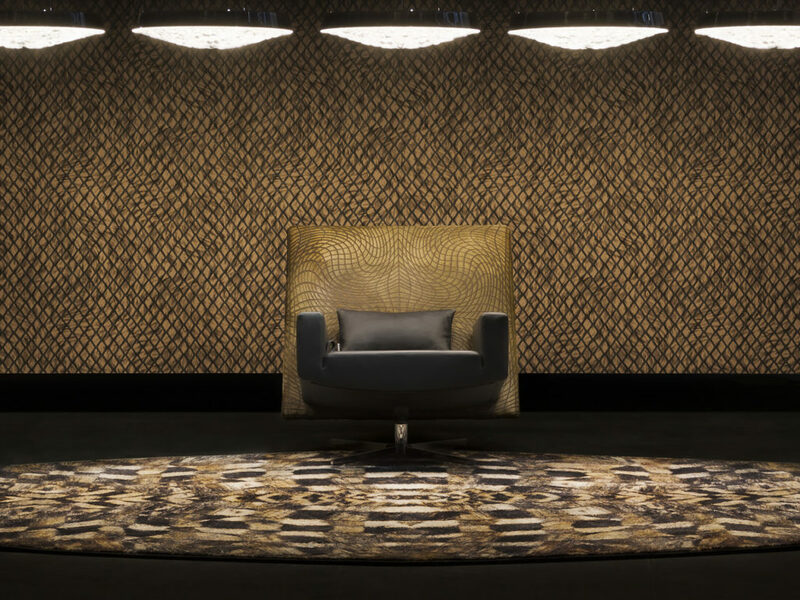 Moooi has launched The Extinct Animal Fabric Collection: the high-end collection of 12 fabrics and leathers. A part of the new Extinct Animal collection, which also includes carpets and wallcovering, the fabrics bring a touch of luxury, softness and a splash of natural beauty to upholstered designs from the Moooi collection. 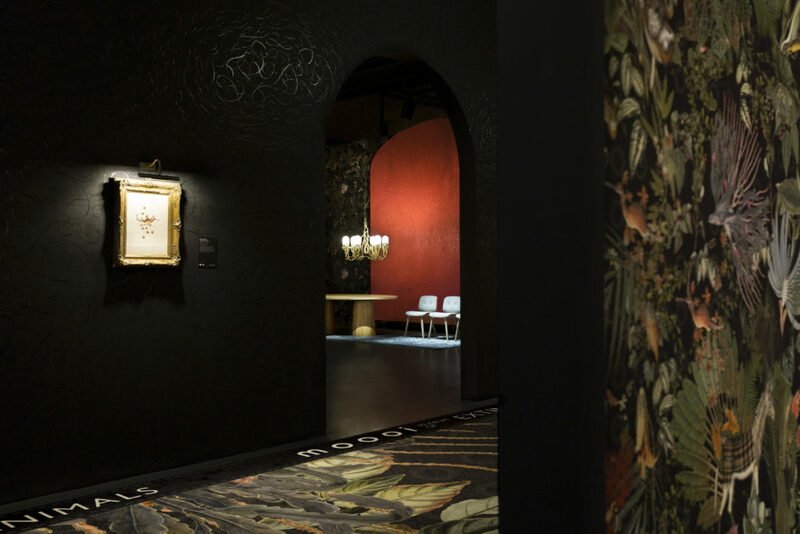 Inspired by drawings from the archives at the Museum of Extinct Animals and a selection of unique extinct animal drawings discovered in historic libraries around the world, Moooi envisions a collection of fabrics that celebrate nature’s diversity and highlights past and present expeditions. To follow this ambitious adventure, Moooi dives into the world of fabrics and leathers, discovering their natural qualities and the different feel of diverse materials. The exotic appearance, striking features and essence of each animal species is absorbed into Moooi’s new design language, allowing for the fabric to possess unique characteristics. Organic structures, extreme softness or roughness, landscapes and geometric patterns are reminders of the wonders of nature. The collection embodies not only the extinct animals’ looks and textures, but also their tactual feel. “The textile collection is part of a larger surface collection including fabrics, wallcoverings and carpets inspired by our animal muses. The play between these surfaces created a dimensionality of these creatures. As the Moooi collection evolves, we are looking to bring a softness and tactility to our upholstery collection, but in a creative and surprising way,” said Christie Wright, art direction for Moooi. An assortment of high-quality materials, such as high-pile cotton, velvet, jacquards, treated leathers, mohair and faux fur are available. Fabrics are tested for dry rub fastness, wet rub fastness, light fastness, tear strength, breaking strength and fire retardancy. The textures transform each Moooi design and bring forgotten creatures to life. Moooi and Designer Maarten Baas, together, expand Moooi’s seating collection with its first modular sofa: Something Like This Sofa. The seating system’s unique quality stands out with unmistakable, irregular outlines from the designer’s original sketch and bridges the structural world of a commercial system with inspiration. Celebrating asymmetry, Something Like This Sofa doesn’t take itself too seriously. Rough, crooked strokes, which are typically smoothed out during the manufacturing process, are emphasized and command attention like mountainous terrain. “My biggest challenge was to keep the original drawing alive,” Baas said. It is easier to produce straight lines, though his original, gestural and impulsive lines remain prevalent, making a statement about the relationship between the creative process and manufacturing. “I’d always wanted to make a sofa that looks ‘something like this’: like a quick drawing. My works are often developed from spontaneous sketches—rough drafts that end up as perfect products. 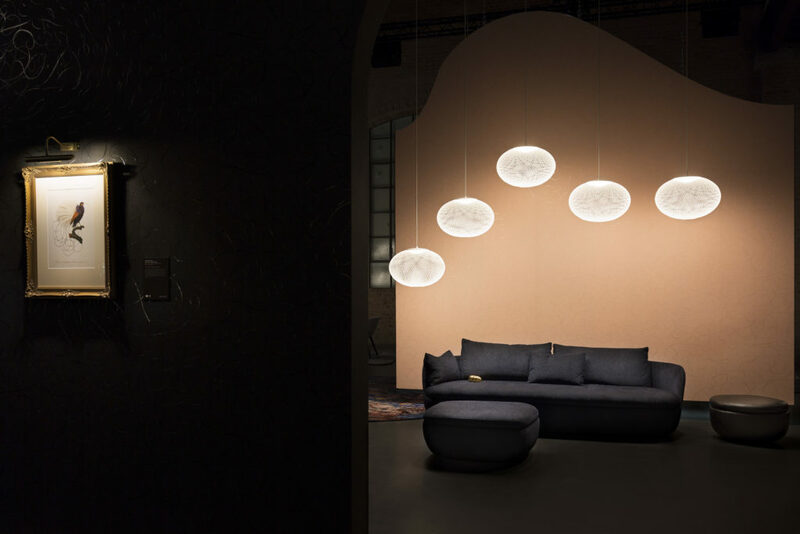 Moooi, being a brand that wants to make a difference, didn’t want to produce another variation of what we already know. This style of modular sofa hadn’t been done before, and Moooi wanted to go all the way,” Baas said. 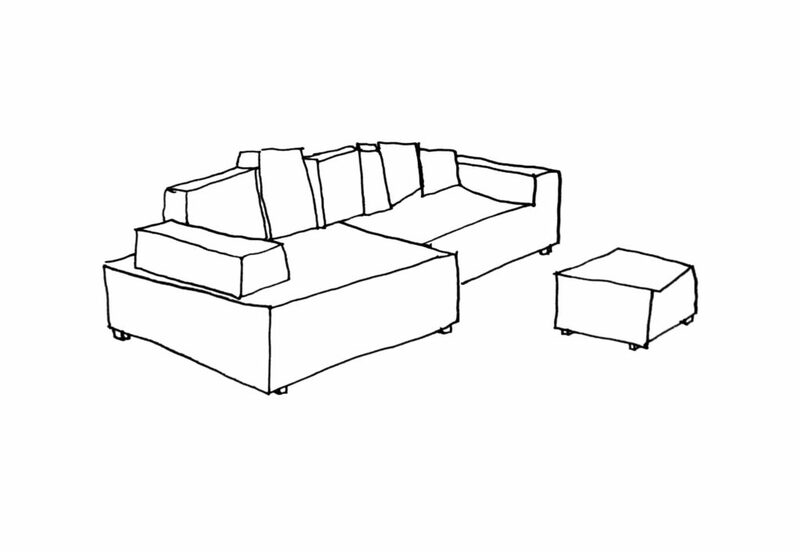 Despite the sketch’s impulsiveness, the idea of the Something Like This Sofa is based on an archetypal three-seater sofa. “Everyone knows a sofa that looks like that, but they always have square cushions. The fact that Something Like This Sofa isn’t straight—its corners aren’t 90 degrees—makes it unique,” Baas said. The playful product provides insight into the way Baas’s creative mind works, while also allowing the customer to become the creator. 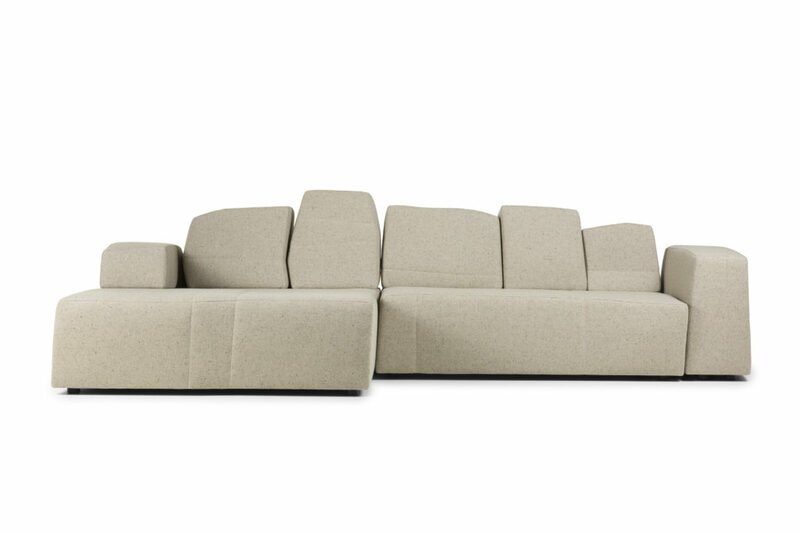 In a subtle nod to the designer’s own process, clients get to design their own sofa with an online configurator. With the configurator, one can change the sofa’s composition to their liking and at the same time play with colors, fabrics and leathers.